Improving cabinet accessibility and storage space while increasing the value of your home just got easier! By installing our custom designed Pull-Out Shelves in your existing cabinets, you can increase the value of your home and create an orderly pull out shelf storage system that works expressly for you. No more clutter or searching for goods or items lost or buried at the back of pantries and cabinets. Visibility, accessibility, and convenience are right at your fingertips. Simply slide out your shelves for all your pantry and cabinetry needs. 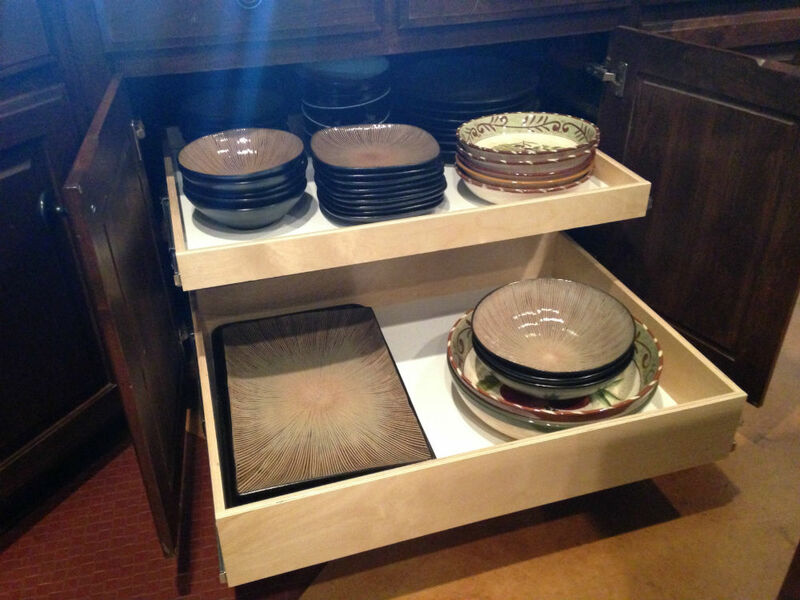 Center posts in your cabinets can be eliminated to allow room for wide Pull-Out Shelves, giving you additional storage. "We were so pleased with the units that we ordered other drawers as well"
Please visit www.pulloutshelf.com to see a complete inventory of pull-out shelf designs for your home improvement needs.